When I started my quest to work from home, I worked in the public school system as an elementary guidance counselor. I worked with many teachers who enjoyed their jobs, but were frustrated by the hours that went well beyond the school day and kept them away from their own children. This was made worse for many who had to have second jobs to make ends meet. Fortunately, today there are work-at-home opportunities for teachers to work full-time or part-time using their teaching skills. What Types of Jobs Are there For Teachers and Educators? 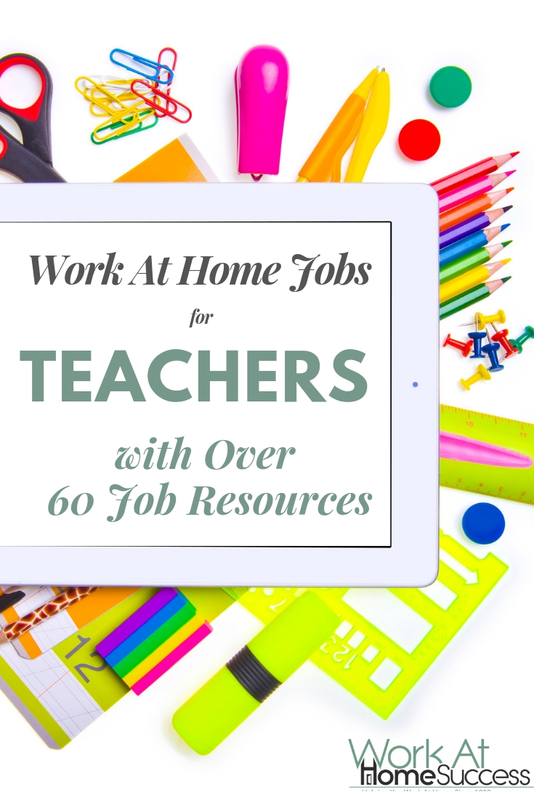 What Do Work At Home Teachers Get Paid? 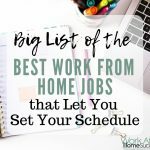 How to Get Hired to Work At Home as A Teacher? Like other jobs, online teaching requires you have specialized skills and experience. In many cases, for elementary and upper grade teaching, you’ll likely need a teaching license or certificate in the state the job is being offered. Teaching at the college level requires a minimum of a Master’s degree. There are few that don’t require certification, but usually requires at least a BA/BS and sometimes experience. Top quality virus protection and security. You’ll be working with children and families that need to have their personal information kept safe. Dedicated phone: Some of these jobs are done by phone, and it can help to have a separate phone for business. 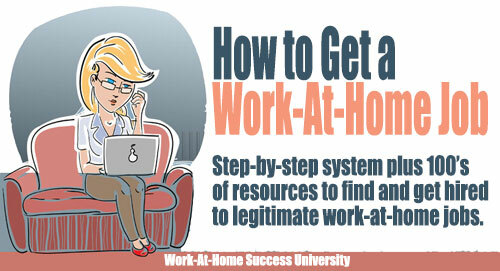 As you’ll see below, there are many types of work teachers and educators can do from home. Along with teaching and tutoring, there are jobs in curriculum development, test scoring, writing and more. These jobs vary in the hours offered and required. Some have a minimum of hours you need to work a week, and others are completely flexible. Some are full-time employment with benefits, although most are contract jobs that can be done full- or part-time. Some are freelance, in that you can decide what you offer and when you offer it, such as selling your curriculum s or as-needed tutoring. 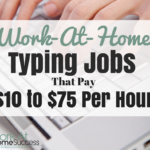 Pay for teachers who work from home varies greatly, mostly depending on the type of work you get. Some places, such as virtual schools, pay traditional teacher salaries, while others pay a per-hour rate. In general, teachers who are teaching or tutoring will be paid anywhere from $10 to $20 or $25 per hour. This can go up if you’re teaching advanced courses such as nursing at the graduate level. Other work, particularly work that is flexible, you’ll be paid per project. Or some offer marketplaces to sell your curriculums or knowledge, in which case you can often set your price. In many ways, the process of teaching at home isn’t much different that other teaching jobs. You’ll need to apply, and provide any required proof of your teaching education, certification, and experience. You will likely have an interview that will be done by phone or video conference. You’ll be asked questions about your teaching or educational experience and teaching style. You may get subject specific questions as well. Many of the typical job questions can be asked such as what are your strengths and weaknesses. You may be asked teaching specific questions such as what would you do if you had a student who is having difficulty. 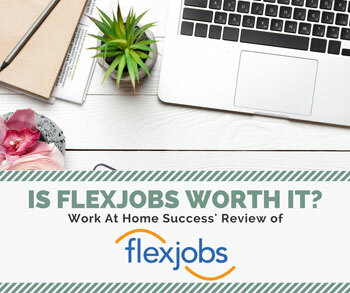 Finally, you may be asked about your home office (quiet place to work) and your comfort level in using online technology to teach. These companies may or may not be hiring right now. Where possible, these links go to the career page of the sites. Some of these companies hire both onsite and off-site workers. 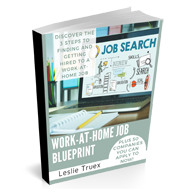 You may need to search for the home-based jobs. 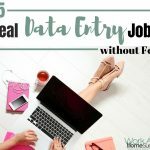 The links below were working at the time of posting, but if a link doesn’t work, go to the main URL of the site, and search for a link that says “Jobs,” “Careers,” “Work with Us,” or other job type text. Bridgeway Academy – Help home schooled kids online. California Virtual Academies – Must live in California. Connections Academy – Regularly hires teachers K-12, and other educational staff (counselors, principals, speech-language pathologists). Has positions for virtual schools throughout the US, but you’ll likely need to be certified in the state the virtual school is located. Edmentum – Hires virtual teachers throughout the US in a variety of subjects. Offers benefits. K 12 – Regularly hires teachers and other educational staff throughout the US. 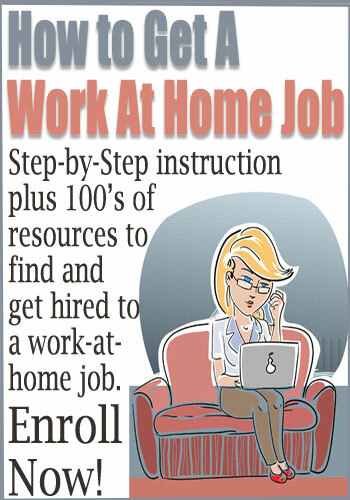 Capella University – Hires college-level teachers to work from home. Check the “off-site” box. Kaplan – Hires virtual workers for a variety of jobs including post-secondary education courses in the US and Canada. Click the “Remote/Nationwide” button for your country. Universal Class – Must have experience and degree for academic teaching, however there are adult education courses offered as well that require experience only. Virtual University – Write or write and teach a course. Credo Tutoring Solutions – State certified teachers and online tutors. Dissertation Advisors – Tutor students writing their dissertation. Magoosh – Answer student’s questions about tests such as the SAT by email. Tutor Vista – Part-time and full-time tutors in all subjects. ESL teaching/tutoring may be done by Skype or other video conferencing. Some may be done by phone. Cambly – Teach English to students from all over the world. DaDaABC – Teach English to Chinese children. EF Education First – Teach English to Chinese children. U.S. and U.K.
English Hunt – Teaching Certification and minimum four-year degree. A teacher certificate is not needed for phone English programs. GoFLUENT – Must have a degree. Hires by state. Qkids – Teach English to Chinese children. Hires in US and Canada. LearnLight – ESL telephone teachers. 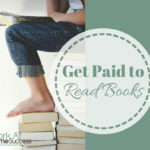 Freelance position, pays monthly. iTalki – Teach any language. Open worldwide. Mango Languages – Teach languages online. Experience teaching language at the university level required. NiceTalk – App to have conversations with non-English speakers. Native English speaker required. Open English – ESL tutoring. Palfish – App to have conversations with non-English speakers. Native English speaker. Panda Tree – US and Canada. Hires Spanish and Mandarin language tutors. Must be fluent. Rosetta Stone – Language tutors. May be location dependent. TutorABC – 4-year degree required. 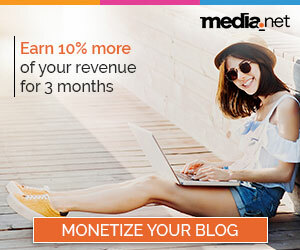 Universal Class – Hires course writers to write exclusive content. You can also search for Curriculum Development on FlexJobs and other job search databased. The ACT – ACT reading and scoring student essays. ETS – US and sometimes non-US resident jobs. Measurement Inc. – US only. Bachelor’s degree required. WriteScore – Essay scoring. No experience required, but 2-year degree needed. A Pass Education – Educational assessment writers. Bachelor’s degree. ACT – Develop questions for workplace assessments. MetriTech – K-4 passage writers for ESL assessments. Educents Popular among the homeschool crowd, this site lets you sell your educational materials. eNotes – Sell your educational materials and help others through Q&A platform. Teachers Notebook – Set up a free shop to sell your teaching materials. Teachers Pay Teachers – Sell your lesson plans to other teachers. Maven – Charge people for your knowledge. Skillshare – Teach your skill. Udemy – Free platform for creating a course in something. 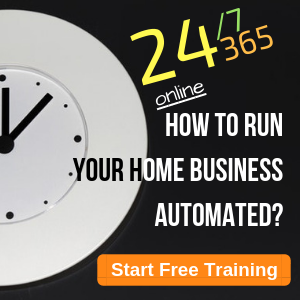 Here are other resources for selling your knowledge and a information on making money with online courses. 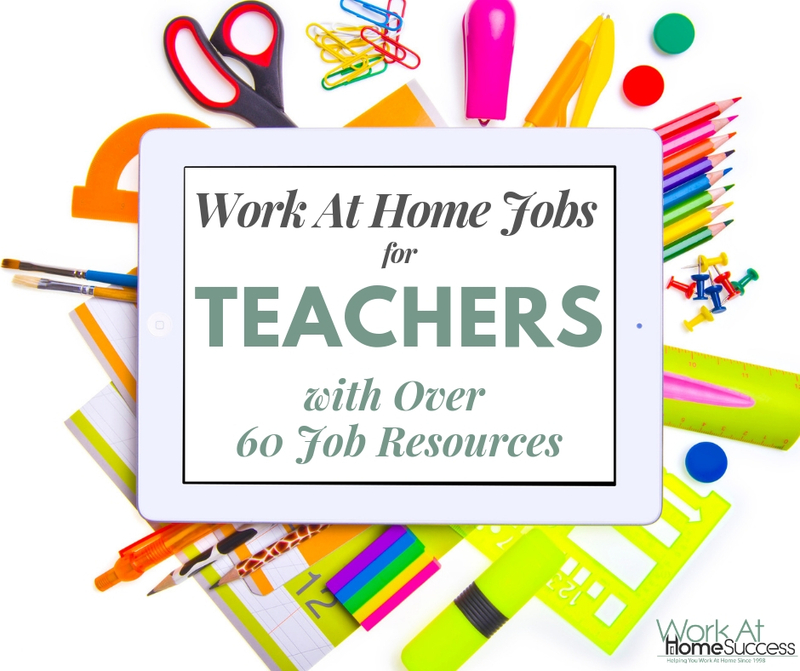 Do you have any tips or resources for teachers looking to work from home? Let us know in the comments below!